OUR MOST POWERFUL NATURALLY ASPIRATED 6.2L! 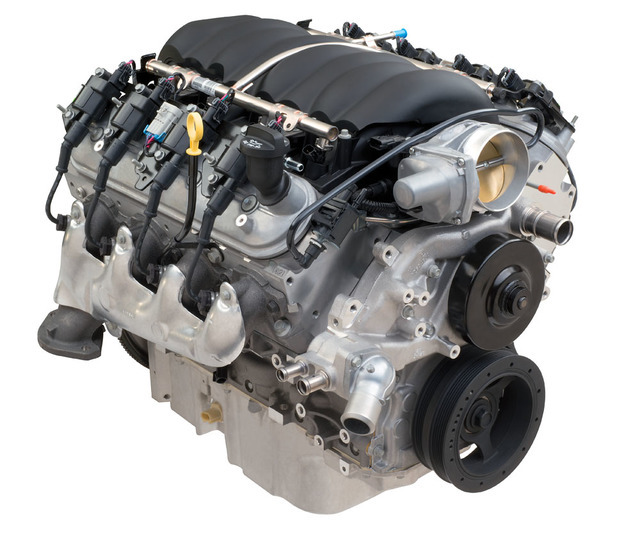 With Chevrolet Performance's aggressive ASA camshaft - developed for the high-rpm world of circle-track racing - installed in the LS3 6.2L engine, it comes alive with 525 uncompromising horsepower. That makes it the most powerful naturally aspirated 6.2L street engine in our portfolio - and one that has an edge to it. You'll notice it in the idle quality and you'll feel it when the revs quickly climb. The ASA camshaft is a hydraulic roller with .525-inch lift on both sides, along with 226 degrees duration on the intake side and 236 degrees on the exhaust side. Coupled with a tight, 110-degree lobe separation angle, it helps the engine deliver excellent throttle response and breathe exceptionally well at high rpm. And for durability, we complement the cam with higher-rate valve springs. You'll need tuning to make the most of the engine in a late-model GM vehicle. If you plan to use the engine in a vintage car, you'll need controller kit P/N 19354332, which includes the throttle pedal to match its electronically controlled throttle body. Use LS376/525 Engine Controller Kit for engine operation, P/N 19354332. Front-End Accessory Drive Kits are available in several configurations.